Could the Surface line disappear in a couple of years? 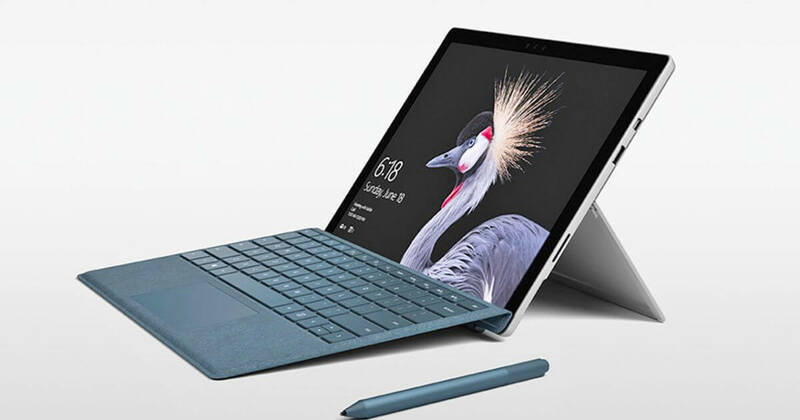 With its new Pixelbook 2-in-1, it appears as if Google is trying to take on Microsoft and its laptop-tablet hybrid, the Surface Pro. But several big names within the industry think the Windows maker will drop its Surface lineup by 2019, if not sooner. At the Canalys Channels Forum, CEO of analyst company Canalys, Steve Brazier, said that Microsoft boss Satya Nadella is a “software guy, a cloud guy,” and that the Surface hardware will go the same way as the Microsoft Band and its smartphones. “The Surface performance is choppy; there are good quarters and bad quarters, overall they are not making money. It doesn’t make sense for them to be in this business,” said Brazier, as reported by The Register. Some of Microsoft’s OEM partners agreed with Brazier’s claims. Lenovo COO Gianfranco Lanci believes the Surface line could be nixed before 2019. “It might be earlier [than 2019]. Microsoft is making a lot of money on cloud, making a lot of money on Windows and Office, but losing a lot of money on devices. And frankly speaking, it is difficult to see why they should keep losing money” he told Brazier on stage. Dell’s chief commercial officer Marius Haas agreed with the predictions, saying that Microsoft will “probably slow down a bit” when it came to Surface products. In its last reported quarter, Microsoft’s More Personal Computing segment saw its revenue drop 2 percent to $8.9 billion, a decline it attributed to lower phone revenues and the fact it sold significantly fewer Surface devices than the previous quarter, where they saw a 26 percent YoY decline. In reality, though, it’s hard to imagine Microsoft calling time on the Surface line within the next two years, especially as it only launched the new Surface Laptop and Surface Pro a few months ago. And after what happened with its smartphone business, the company is unlikely to want its hardware reputation to take another hit — something that could negatively affect it in the long term.